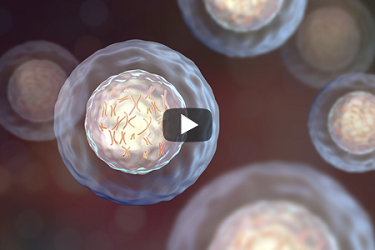 Single cell RNA-Seq is revolutionizing the study of complex tissues and diseases. The powerful and easy-to-use tools in Partek® Flow® empower researchers to analyze their own single cell RNA-Seq data. Perform barcode and cell filtering with interactive plots to guide your choices. 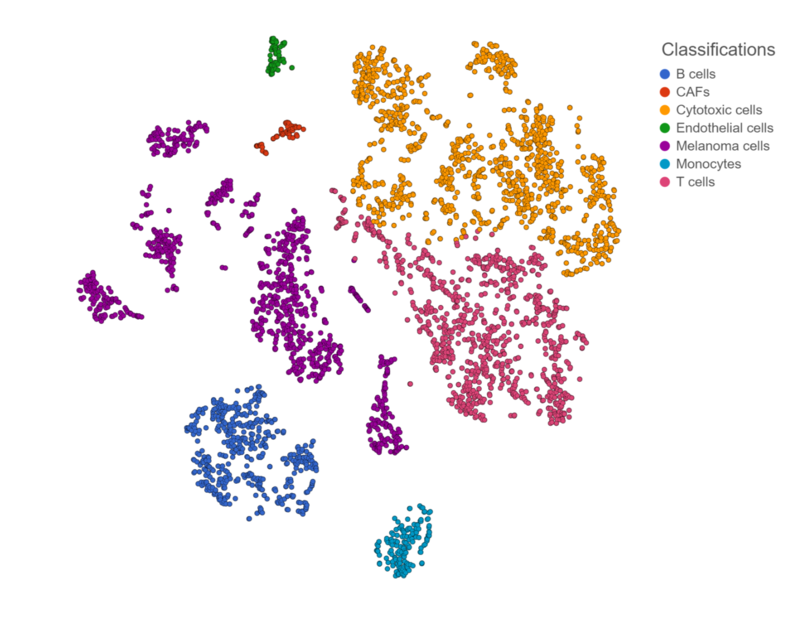 Overlay clustering results, gene and pathway expression, sample attributes, and more to help classify cells on our 3D t-SNE plot. Identify differentially expressed genes and pathways between cell types or between treatment conditions. 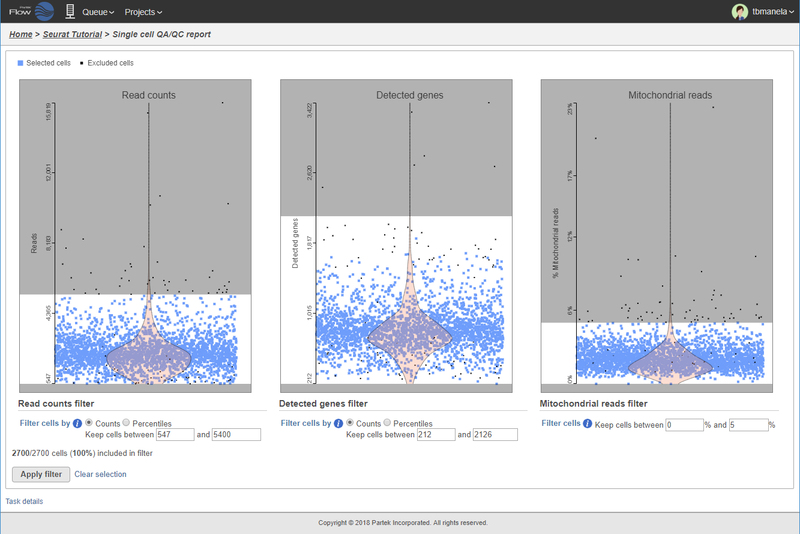 Partek Flow is the only tool you need for your single cell RNA-Seq data processing and analysis. Starting with a FASTQ file or a count matrix from Drop-Seq or 10x Genomics, Partek Flow handles all of your data processing in a simple, transparent, and flexible series of steps. Single cell RNA-Seq data is more complex than most bulk RNA-Seq data. It has unique DNA barcodes marking the cell of origin for each read and a unique molecular identifier (UMI) for each reverse transcribed cDNA molecule. 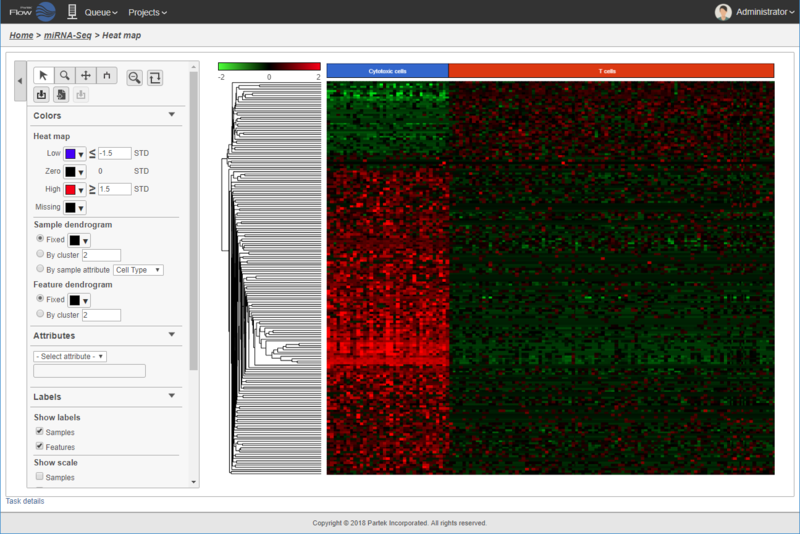 Partek Flow makes processing single cell RNA-Seq data simple. Preset filters recognize and exclude barcodes and UMIs from alignment against the reference genome. UMIs are automatically deduplicated to remove PCR artifacts and an interactive knee plot shows which barcodes correspond to real cells and which are technical noise. Once cells and unique transcripts have been identified, filtering out low-quality cells and uninformative genes is easy in the point-and-click interface. Potential doublets and broken cells can be identified as outliers and filtered out using the interactive QA/QC plots showing reads per cell, genes per cell, and percentage of mitochondrial reads per cell. The most informative genes for downstream analysis can be selecting using filters for expression level, variance, or gene ID. t-SNE (t-distributed stochastic neighbor embedding) is a dimensional reduction algorithm that shows groups of similar cells as clusters on a scatter plot. In Partek Flow, the interactive t-SNE plot is a powerful tool for discovering cell types within your single cell data. By overlaying gene and pathway expression values on the t-SNE plot, known cell types can be identified. 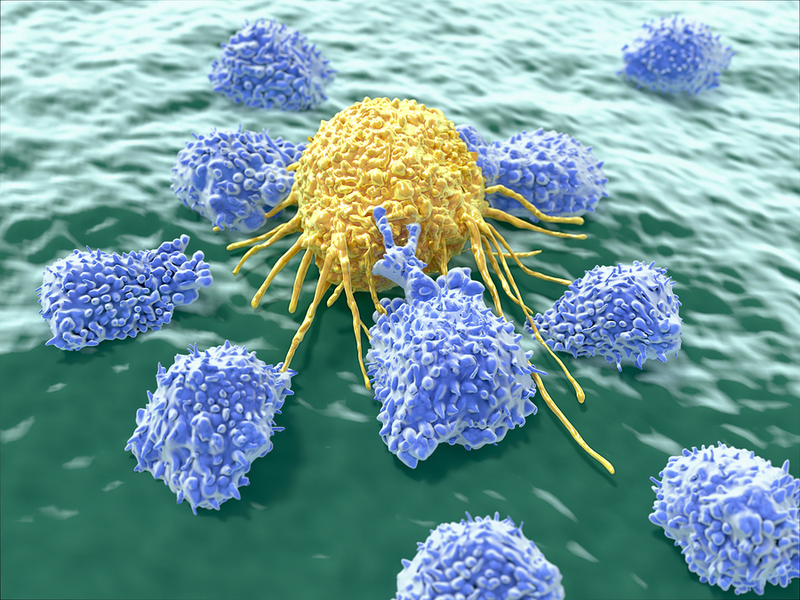 For unknown cell types, Partek Flow offers clustering algorithms to identify groups of similar cells and provides biomarkers for each cluster to speed cell type identification. With cell types identified, our powerful and flexible statistical tests enable discovery of differentially expressed genes and pathways between cell types or between different experimental conditions for a cell type. You can also compare the prevalence of cell types between your samples to identify conditions that change the cell-type composition of a tissue. Every result in Partek Flow is accompanied by customizable visualizations that make it easy to see and share your single cell results. 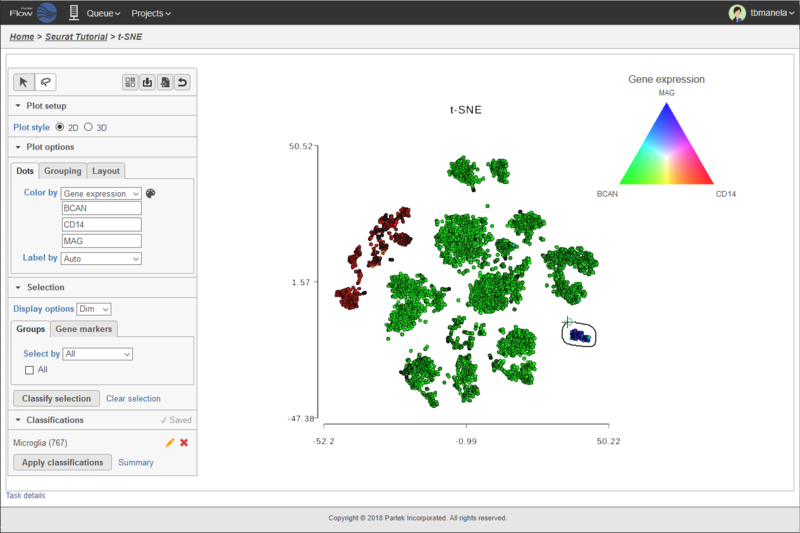 You can download any view of your t-SNE in 2D or 3D to illustrate gene expression patterns in different cell types or show clustering results. Configurable hierarchical clustering heat maps and violin plots can be downloaded as publication-quality SVG files with your specified image size and DPI. Differential pathway expression can be visualized as a profile plot with each gene in the pathway or overlaid on a KEGG pathway map for additional contextual information.